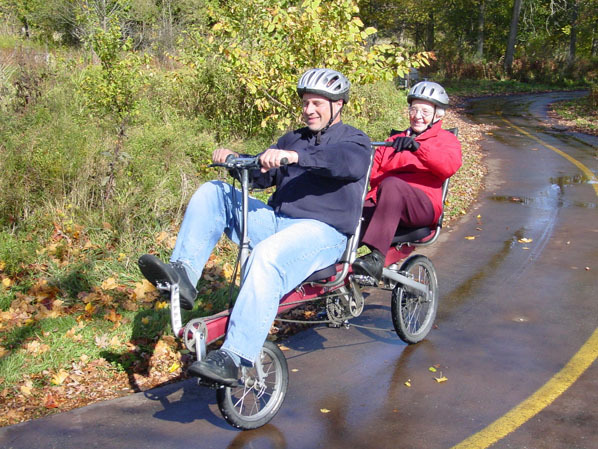 This afternoon, Jim rented the BikeE E2 recumbent tandem for his mother’s 88th birthday. Jim’s mother had never had a chance to ride a bike before in her life, so Jim thought this would be a good chance to fulfill a lifelong dream. I met Jim and his incredible mother out at RIM Park, the rain held up just long enough for them to have a leisurely ride along the Walter Bean Trail. Great idea Jim. Happy Birthday Mrs. Farwell!! 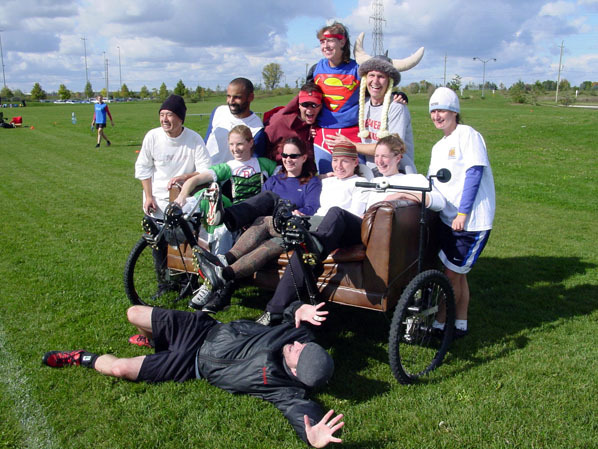 My friend Trevor was in town for the Oktoberfest Ultimate tournament. He suggested I come around on the Couchbike and cheer them on. It was fun to meet his team. I couldn’t believe they played with those costumes on! You are currently browsing the Bicycle Forest Blog weblog archives for October, 2005.